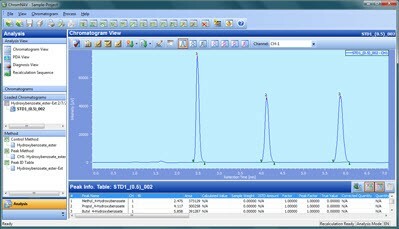 ChromNAV is a powerful modular software designed for a variety of chromatography applications from fast analysis using UHPLC and SFC to routine analytical separations to the control of preparative chromatography using intelligent fractionation. Built around a server based error free ethernet protocol, instrument control and data acquisition is designed for 24/7 fault free operation. JASCO’s proprietary LC-Net II protocol gives the highest data reliability even for high acquisition rates used by UHPLC PDA detectors. The ChromNAV user interface is a modern design with a typical look and feel similar to many common programs that run in Windows XP and Windows 7 operating systems. With the easy-to-use intuitive, and versatile interface; everything from instrument set-up, to sequence control, to data analysis and advanced reporting can be learned very quickly. There are no threads in JASCO ChromNAV Reviews at this time.